The Unity® language system is the original core word system that provides maximum flexibility, as well as communication and educational supports. 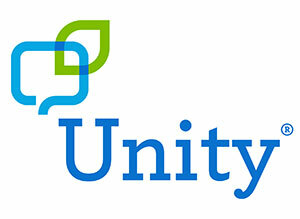 The Unity® language system is the most established AAC language system in the industry. It's used by tens of thousands of people using AAC and has been translated into more than a dozen languages. It's also the foundation of the LAMP Words for Life® and CoreScanner™ language systems. The Unity language system is flexible and helps communicators of all skill levels learn quickly and build language skills for maximum independence. Individuals start with early first words and grow to sophisticated adult communication. Individuals with apraxia, cerebral palsy, autism, Down syndrome, Rett syndrome, and other diagnoses that involve receptive or expressive language deficits are all candidates for the Unity language system. Visit the AAC Language Lab, which includes many resources for learning about the Unity system and teaching Unity, including the Unity Curriculum guide. Download the PASS software and try the Unity language system. Want to learn more about the updated Unity language system? Watch our Webinar and get information on new features that make teaching and learning the Unity language system even easier! Please note: Brief registration required.